There’s something spellbinding about squinting into the Pacific and spying a pod of WILD DOLPHINS spinning like shiny toy tops out of a sun-polished sea. These marine mammals may appear out of the blue and put on a show for you. And when they do, there’s an almost irresistible urge to get in the water with them. 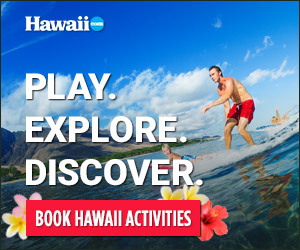 A number of Hawai‘i Island TOUR BOAT COMPANIES understand that urge and provide the opportunity to do so. Most of them follow self-regulatory guidelines developed to safeguard dolphins, as well as humans. DOLPHIN DISCOVERIES pioneered Hawai‘i Island dolphin swims more than 15 years ago, developing the guidelines currently in use by most companies that offer dolphin tours. The company specializes in small group tours, and their guides are trained marine-mammal naturalists. Another way to get to know dolphins is to participate in the DOLPHIN QUEST marine research and education program at the HILTON WAIKOLOA VILLAGE. SUNLIGHT ON WATER, a tour company with 15-plus years of experience in dolphin encounters, guarantees dolphin sightings and the opportunity to get in the water with them on its Kona Coast tours. You also can swim and snorkel with wild dolphins on ocean rafting tours with ADVENTURE X RAFTING, NEPTUNE CHARLIES and CAPTAIN ZODIAC.